We had a fabulous Literacy based afternoon of activities with author Judy Brulo at Copthill School! Judy had the children totally engrossed throughout the session. They had an enormous amount of fun joining in her creative and energetic story based activities. Brack is a wonderful character who appeals equally to both boys and girls of this age and the book also provides a good starting point for PSHE based discussions. Judy covered everything from Music to Maths as well as keeping them all on task and engaged throughout her visit. We will definitely be inviting her back! Thank you Judy for giving the Year 1's a wonderfully well planned and fun-filled experience. Testimonial from Bourne Abbey Primary Academy, Bourne, Lincs. Judy joined Year 3 on National Poetry Day. The children were all engaged and really enjoyed their sessions with her. She brought her story, about a twin brother and sister and a brachiosaurus, to life through her use of puppets and music. Judy then shared a poem with the children, which she had written, and they all took part in adding the action. When they returned to the classrooms all the children were so excited to design their own Phantom Wurzle Scrumbler from Judy’s poem. It really was an inspiring and creative session. Miro class loved our workshop with author Judy Brulo this morning! We have sung, danced and played games based on the stories she has written and learnt fun facts about vultures and a brachiosaurus! more often solving problems than creating them. The author has also woven in a subtle message about the environment, dealing with a flood and the decreasing greenery on the planet. A Year in the Life of Brack is truly a charmingly delightful collection filled with friendship and puns that every child will love. 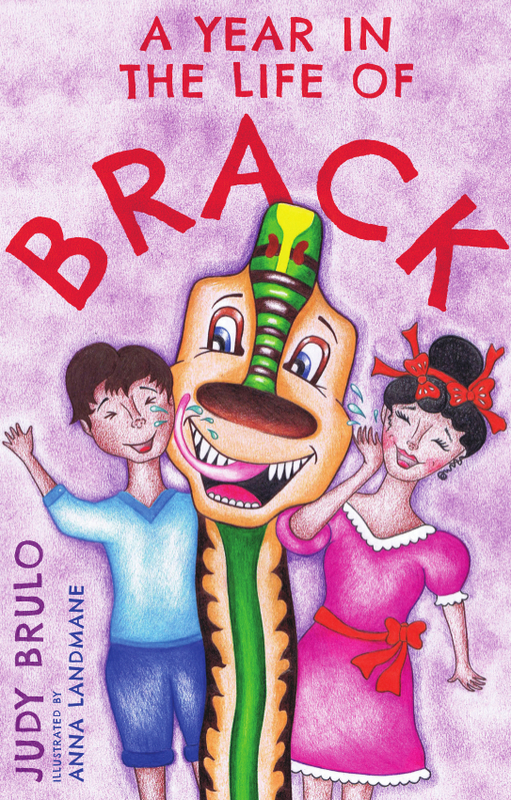 Brack is a lovable (and unusually colourful) brachiosaurus who comes to live in the garden of twins Taio and Kaia. With a sweet nature and impeccable manners, Brack’s only flaw is his huge appetite!The Byron family soon find a way to integrate their new pet into their lives and the community of Shepherdsfield. In a series of funny adventures Brack quickly wins over the hearts of everyone he meets with his helpful instinct to please. A Year in The Life of Brack is a book filled with warm children’s stories full of colour and fun. It is a great book for children who are transitioning from picture to longer chapter books. With it’s simple, repetitive text, easy to follow dialogue, and beautifully colourful illustrations, children will enjoy Brack’s humorous adventures in Shepherdsfield.The book covers a year, beginning with Brack’s arrival and ending with his departure. There are five stories in total, each with two or three short chapters which makes the book easy for children to read in short sittings. For more advanced readers the book can be read as one longer text. It is inspired by the author’s own grandchildren and the love she has for her cats and the warmth comes though in her writing. In summary, CPID recommends A Year in The Life Of Brack because it is a funny, yet gentle children’s book ideal for readers transitioning from picture to chapter books. A Brachiosaurus might not be the obvious choice of childhood friend, but when one magically turns up on their doorstep, twins Kaia and Taio quickly realise Brack is the best friend anyone could ask for - dinosaur or not! With echoes of such children’s classics as The Tiger Who Came to Tea and The Bear, A Year in the Life of Brack is a warm tale of friendship to entertain children and parents alike. Anna Landmane’s colourful illustrations bring Brack’s shenanigans to life, while Judy Brulo’s sweet portrayal of childhood friendship and community spirit makes a delightful solo-read for confident young readers. 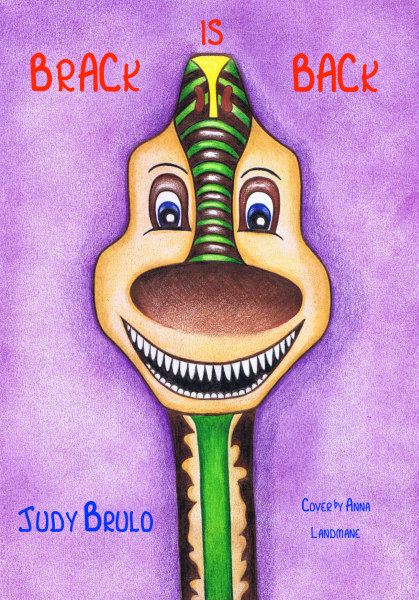 The return of this lovable Brachiosaurus is as heart-warming and funny as the original collection of tales, Brack is Back. Twins Kaio and Taio have missed their friend Brack the Brachiosaurus, who’s gargantuan appetite saw him leaving earth in search of all the plants he could hope to eat. So when Brack zooms back into their lives - via a very unique form of travel - they are thrilled to see him. While Brack wants to give the children their best adventure yet - a voyage around outer space! - he is determined to help when he hears that the village of Shepherdsfield might be threatened by a new railway development. With local developers and pesky palaeontologists to overcome, can Brack help save the village he thinks of as his second home? Once again Judy Brulo paints a warming picture of community spirit, friendship - and not a small amount of adventure. A gentle read that touches on lessons in selflessness and forgiveness, Brack is Back is a great book for confident young readers. Bonaparte, a cat un-paralleled in his mouse catching abilities, is the hero at the centre of this funny, moral story for 8-12-year-olds. A fantasy-adventure story for 8-12-yr-olds, with a conservation message. The action centres around a ten-year-old boy and his friendship with a very special Griffon Vulture. Not only are we taken to a mysterious Mediterranean island with it ancient ruins and dark secrets but we are also made aware of the need to take care of our environment. The Revenge of the Servants of The Gods is an unpublished [now published] manuscript by Judy Brulo, who has successfully published one book, A Year in the life of Brack (2017), belonging to the genre of children’s fantasy fiction. The story follows the adventures of Luke Bright, a clever 10-year-old boy who lives with his mother and step-father. His life is turned upside down when he is uprooted from everything that is familiar; his school; his friends and his country, to the unfamiliarity of the Greek island of Ýpas Nisí (Vulture Island). However, during a morning run from his new home, Luke stumbles across a mythical Griffon Vulture that he has an immediate connection with. The Griffon will lead Luke on a quest where he will unlock the mysteries and legends surrounding the Amphora Temple. Luke’s path becomes rocky in the guise of Mr Bonaparte ‘Bones’ Duggitt - a comical, greedy and ‘slick’ character on a mission to steal from the Temple - and with help of family and friends Luke must put a stop to this villain’s plans. 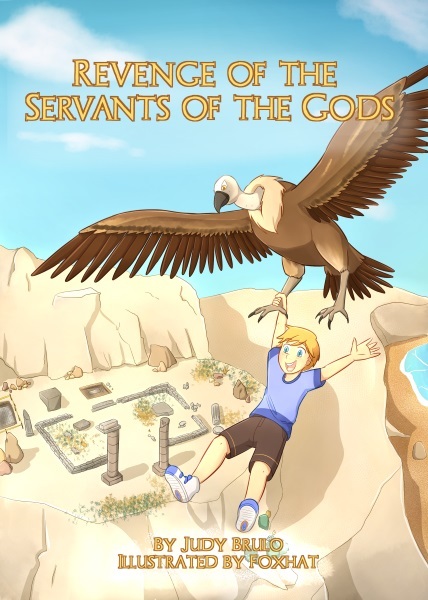 The Revenge of the Servants of The Gods is a pleasing piece of fiction with characters that show courage, friendship, honesty, and justice. all the ingredients that lead to venture: hidden treasure; heroes; villains and mythical creatures: all against the backdrop of the mystical Greek islands. By the end of the story the reader will think ‘what next?’ Well, personally I am almost certain that a sequel must be in the making! I bought this book for my granddaughters aged 8 and 12, but I read it first! and thoroughly enjoyed it. The author's evocative description of life on a Mediterranean Island drawn from her own experiences of living in Cyprus set the scene. This book has everything - a great adventure, ancient ruins, treasure, and even a 'Baddy'. The heroes are the awesome Griffon Vultures which now deserve my greatest respect! My granddaughters are very keen to get their hands on the book - If I can bear to hand it over! A captivating, well-crafted fantasy tale, complete with heroes, villains, treasures, an ancient tomb and mysteries far beyond the known universe. It’s a magical adventure about nature, friendship, courage and justice, with illustrations that depict key parts of the story perfectly. A rich and gripping read for children aged 8-12. This story was fast paced and exhilarating from start to finish: the perfect book for young readers (recommended for ages 8-12 years old). Set in an imaginary island in Greece, this book explores important themes of family, friendship, confidence and growing up, as well as subtly tackling the conservation of vultures. 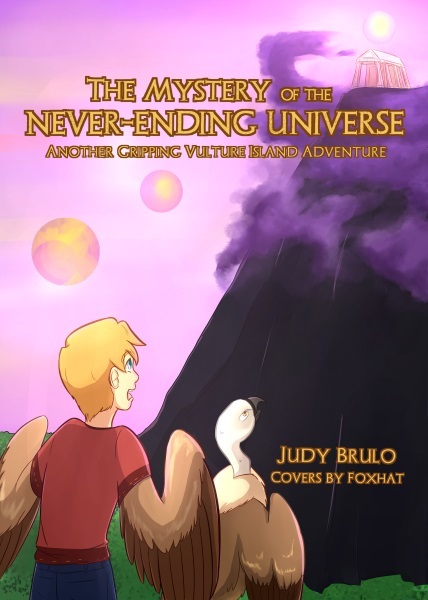 Brulo’s partnership with the Vulture Conservation Foundation in this book is admirable, as the story provides an interesting and exciting way for children and young adults to consider the conservation of vultures, through the means of a fictional tale. The story itself is magical. It combines elements of realism by exploring relationships with family and friends, the difficulty of moving away from all you know of, and adapting to a new environment, with touches of fantasy that make the overall book exciting and well-rounded. December 12th 2018. Reading and activity event at Bourne Abbey Primary Academy, Bourne, Lincs. Year Threes and I had a fabulous time on Wednesday afternoon with 'Revenge of the Servants of the Gods'. We watched videos of vultures, a powerpoint of vulture facts. We whirled around with coloured scarves and went on a trip around Vulture Island complete with junk percussion sound effects. I left them with some post-visit activities of an illustration to colour and a question sheet to see how much they remembered about vultures. More (mostly school) events coming up. 1st March. Rainbows (Girlguides) at St Matthews Church, Great Barr, B'ham. 7th March @ Marsh Hill Primary School, Erdington, B'ham. 8th March @ Great Barr Primary Academy, B'ham. 20th March @ Damson Wood School, Solihull, B'ham. And in April at my local library in Atherstone, Warwickshire. My fiction books for children range from 6 years and up. They are a mixture of fantastical adventure and humour. Some have a soft environmental message, too. 'A Year in the Life of Brack' (pub. Matador 2017), 'Brack is Back' (pub. 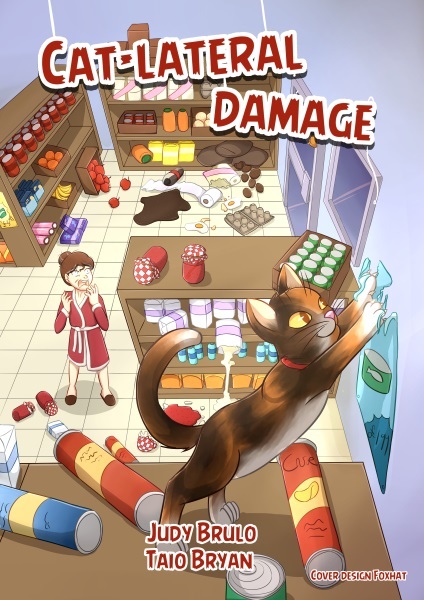 Brulo Books 2018), 'Cat-Lateral Damage' (pub. Brulo Books 2018), and 'The Revenge of the Servants of the Gods' (pub. North Staffordshire Press 2018). Now Published: 'The Mystery of the Never-Ending Universe' (pub. BruloBooks). This is the gripping sequel to 'Revenge of the Servants of the Gods'. Also available as PDF's are: 'Tweaked Tales' 'More Tweaked Tales' 'Hooray for Tweaked Tales' 'One-Eye and Polyphemus' 'Quincy the Duck Who Couldn't Quack' 'The Kingdom of Forgetory' 'Archie's Fur' 'Archie's Ears'. The gripping sequel to 'Revenge of the Servants of the Gods'. Eleven-yr-old Luke Bright and his incredible vulture friend, Griff must retrieve the life-saving Elixir from the Never-Ending Universe. Their arch-enemy greasy 'Bones' Duggitt has been released from jail. WIll he try to stop Luke and Griff in their quest? Is Duggitt the scoundrel they should be worried about? 'The Mystery of the Never-Ending Universe' is set on the Greek Mediterranean island of Ypas Nisi, Vulture Island. It tells of an epic, fantastical journey beyond this universe, where friendship, courage and bravery triumph over perilous dangers. To fail is not an option. The answer to the question which has been plaguing Luke's mind depends on it. And so does the future of the vultures. Iva Toone discovers mice in her shop. Happily, her cat, Bonaparte, solves the problem. Iva rewards him with six cat treats. The mouse problem spreads to other houses. Iva hires out Bonaparte, but each time she does so her fee increases. But she doesn’t increase Bonaparte’s reward! Young Chalky White comes to Bonaparte’s aid. They hatch a plan and Iva soon discovers that her secret weapon has talents which extend beyond catching mice! Will this plan bring Iva to her senses? The peace of Shepherdsfield is threatened when plans for a Rapid-Speed Railway are announced. It will run right next to the village. Brack comes up with a zany scheme to persuade the government and the local planning agency to think again. It involves taking the twins on a space journey to his home planet, Traf. Sadly, one of the villagers has a scheme of his own which may put Brack’s life at risk.